If you’ve been struggling to get your kids to eat enough during this heatwave then don’t worry you are not alone. 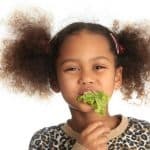 I’ve had a lot of messages from parents worried about the amount of food and liquids their kids have been taking in these last few weeks so I thought I would share my tips on how I have been handling it. Serve up lots of fruits and veggies with a high water content. 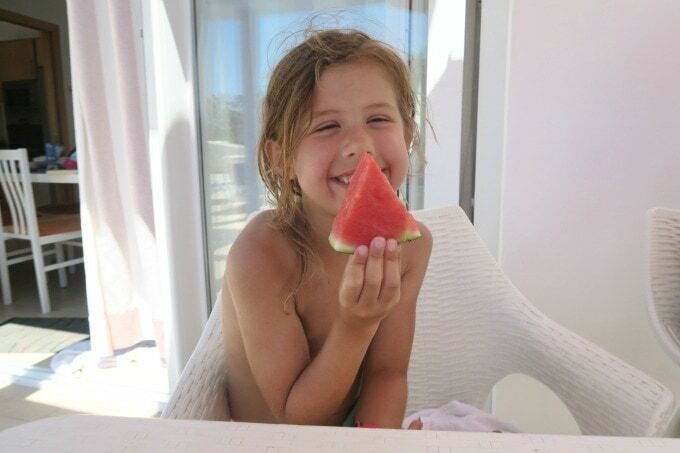 The best ones are watermelon, strawberries, celery, cucumber, pineapple, lettuce, tomatoes and oranges. Serve them as snacks on their own and also alongside their main meals to ensure they get lots of H2O. Try front-loading their food. By the afternoon and early evening it’s quite possible that the kids will be too hot and tired to eat much. I’ve been finding that my two are eating more at breakfast when it is still a bit cool. Encourage them to eat a little more at breakfast and this will help to balance out their overall calorie intake throughout the day. Other than breakfast, our meals have pretty much gone out the window. My kids have preferred to eat snack- style, or picky bits instead. Snack plates are a great way to serve up lots of the high water content fruit and veggies I mentioned above. Add some protein (cheese, eggs, cooked chicken, etc) and some carbs (toasted pitta bread, crackers, bagel, etc) for a complete meal. I’ve been more relaxed on allowing the kids to drink juices and squash since this heatwave started. Usually they are only allowed them when we eat out or on special occasions like having friends round. But I’m now letting them have these drinks more in order to ensure they don’t get dehydrated. I often water fruit juice down and also add in ice cubes so that they are getting some extra hydration in that way. But any drink is better than nothing so do what you have to do to get them hydrated! 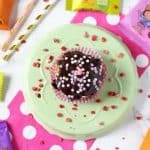 If you’re kids have been mainlining ice cream and ice lollies then don’t worry, I think most of us have been letting our kids have more than their usual share of these treats in an attempt to cool them down. On the whole they’ve been eating less of other “treat” foods like chocolate and cake so I guess it all evens out! Important: If you are worried about your child, and in particular your baby or toddler, being dehydrated then please do seek immediate advice from your GP, Paediatrician or Health Worker. 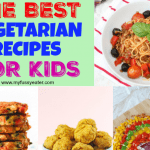 Best Vegetarian Recipes for Kids! 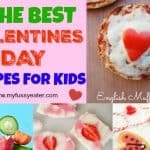 The Best Valentine's Day Recipes for Kids!